The former Merritt Bakery location has been empty after being severely damaged in a fire just over five years ago. Now, Pho King will be the first tenant to move into part of the space, in a unit closest to the Lucky side. There are two other empty units. The new location (207 E. 18th St., Oakland) is scheduled to open in August. 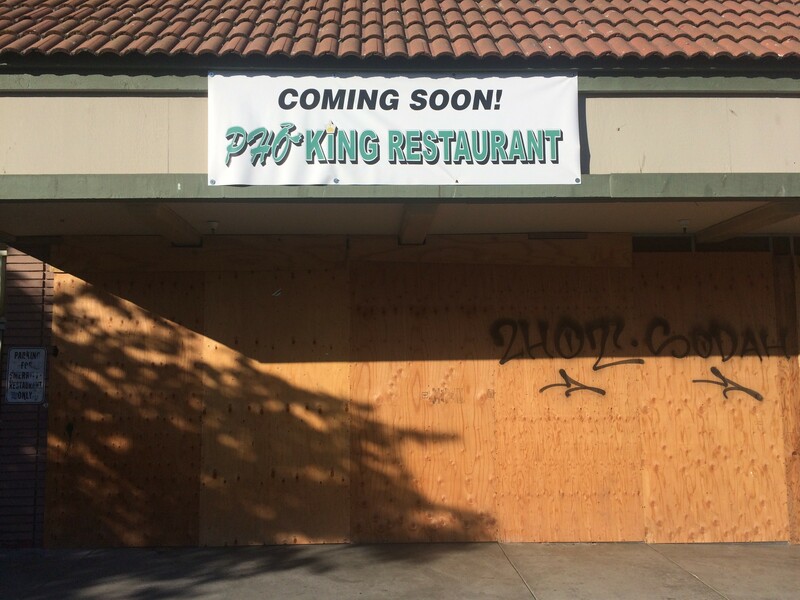 The Eastlake location will remain open until the new Pho King opens. There is typically a line out the door at Pho King (638 International Blvd., Oakland), but the homey, hole-in-the-wall spot always serves its dishes fast. After many years in the same location and with a lease coming to an end, the restaurant’s owners decided to move. “We were looking for spaces to rent and stumbled upon Merritt Bakery, which is a good location,” said Mark Nguyen, a Pho King employee. The restaurant is owned by Lieu Nguyen and Phuoc Ta. The International Boulevard location is a bit cramped with limited parking options. “We wanted to expand out business a bit,” Nguyen said. The new digs will have double the seating space, holding 90 guests, and a large parking lot. “People will have more time to sit down and enjoy their food. We serve our food very fast. It’s going to be the same over there. It will be a much nicer experience overall,” Nguyen said. They plan to keep their menu the same, with new menu additions down the line. Some of those additions are expected to be vegetarian dishes, such as their vegetarian spring rolls, which is available at the International Boulevard location but as an off-menu item. The restaurant is known to be vegetarian-friendly, with a standout vegetarian mi quang, a bowl of noodle soup typically made from thick rice noodles, pork, and shrimp. Their veggie version is fairly unique and not commonly found in other restaurants in the East Bay. Other standout dishes are bun bo hue, a spicy beef and pork noodle soup with vermicelli noodles, that is a lighter take than versions found at other restaurants. Or the classic, kid-friendly pho ga (chicken pho). Pho King’s clientele is mostly families and older folks, and primarily Chinese and Vietnamese American. With the new location, Nguyen said they expect their customers to be more mixed.